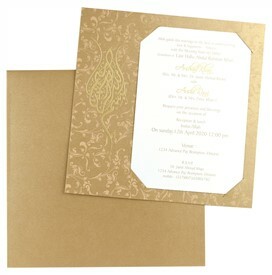 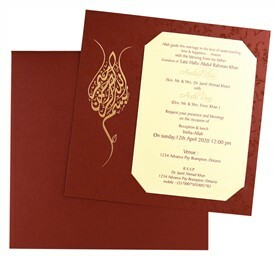 Silk Screen printed “Bismillah” in calligraphic floral pattern forms the main theme of the card. 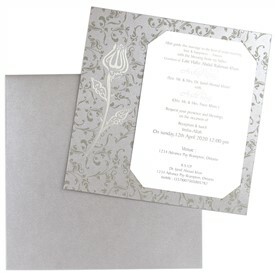 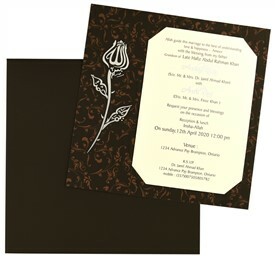 The card base has beautiful rococo motif in self-print. Insert is attached with slits on the main card. 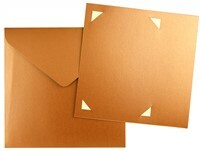 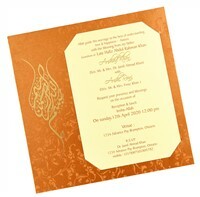 Copper shimmer paper (250 gsm) for main card and envelope. Shimmer cream paper (250 gsm) for 1 insert.